Snow removal is tough work. Weather conditions can be harsh. Snow crews often work long hours in the dark. And there’s pressure to get the job done quickly. You have a lot to worry about. But the safety of your crew and the public should always be at the top of the list. Making safety a priority starts with an ongoing training program and clear communication about what’s expected before your crews hit the road. 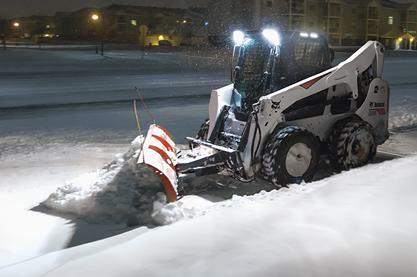 Anyone who operates snow removal equipment should be trained on the equipment they will operate; techniques for pushing, blowing and piling snow or ice; and details on how to handle potential hazards. Here are a few tips to help keep everyone safe. Clearing snow is your mission. But safety is your priority. On the jobsite, block sidewalks on both ends with safety cones or post signs to let the public know crews are at work. While you may be under pressure to get a lot of properties cleared, don’t rush. Train crews to work efficiently while being aware of their surroundings and watching for pedestrians, vehicles and obstacles. It’s important to always look in the direction of travel when operating. And make sure operators look out for kids — who love to climb and play in and around snow piles. Preplanning is a critical step for keeping crews safe. Take the time to visit the site before the first snowfall when it’s easier to identify potential obstacles or hazards that might get covered in snow or hidden in the dark — including hydrants, drop-offs, curbs, posts, overhead obstructions and other structures. Work with the property owner to mark items that could become buried and unseen if the snow gets deep enough. If you need to send operators to clear a site they never been to, have a co-worker accompany them to provide information on potential problems. Snow season can be hard on equipment. Make sure the batteries are fully charged and in good condition. Make sure all the machines have the proper fuel and engine oil for the temperatures you expect and the filters are in good condition. 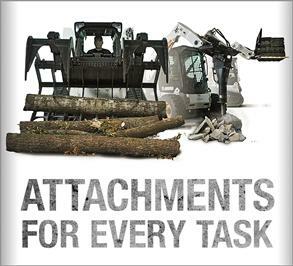 Conduct daily checks of fluids, attachments, tires/treads and lights, to help keep your equipment working and your operators safe. Night or day, bright or reflective clothing will help keep workers safer in low visibility conditions. In frigid temperatures, it’s important to wear layers and water-resistant boots and coats, as well as to bring extra gloves— even when working in a heated, enclosed cab. If crews need to work outside the cab or have an emergency, they’ll be better protected from the cold. Even with the best planning, the unexpected can happen. Before heading out, crews should charge cellphones and take along important spare parts, a tool kit, flashlight and first aid kit. Operators should pack water and snacks to help keep them hydrated, alert and working at top performance. 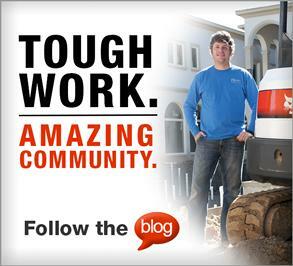 Ask customers if they have specific property rules and regulations that they’d like your crews to be trained on. 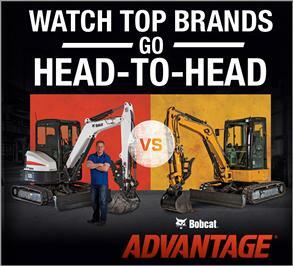 For more information on safety and training resources for your business, check out the Bobcat Operator Training Kits and Safety Resources.